While Melbourne’s CBD itself might seem as cold as a snowfield in winter, it might not be the most fun place to break out the skies. However, some of the country’s best snow resorts are located just a hop, skip and a jump out of the city. 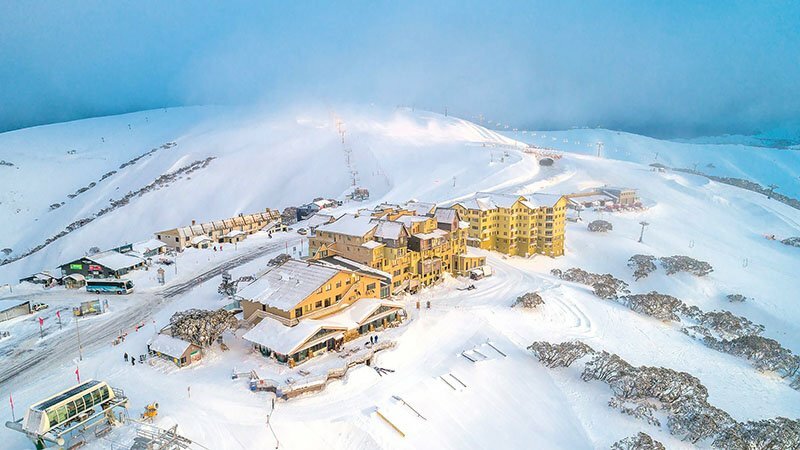 From for family-friendly flurries, to pro slopes, toboggan hills, and mountain lodges, we have rounded up the six best places to enjoy snow near Melbourne. 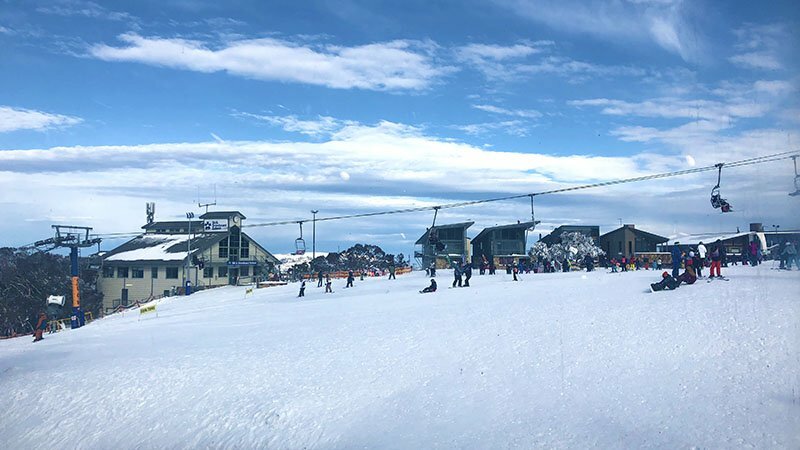 Only three hours out of the hustle and bustle of Melbourne, Mt Buller is one of the most accessible snowfields, and also one of the busiest. However with space for over 7000 visitors, there is more than enough room for every snow bunny. For $50 entry to the Mountain, Buller is also a relatively affordable trip. Nestled at the foothills of Mount Buller is the quaint village of Mansfield. It is the ideal place for a secluded getaway, and the perfect base for day trips to Buller. To avoid the crowds, we’d suggest going during the week. Mansfield is also home to plenty of cafes and equipment hire shops offering snow chains and protective clothing for your trip. 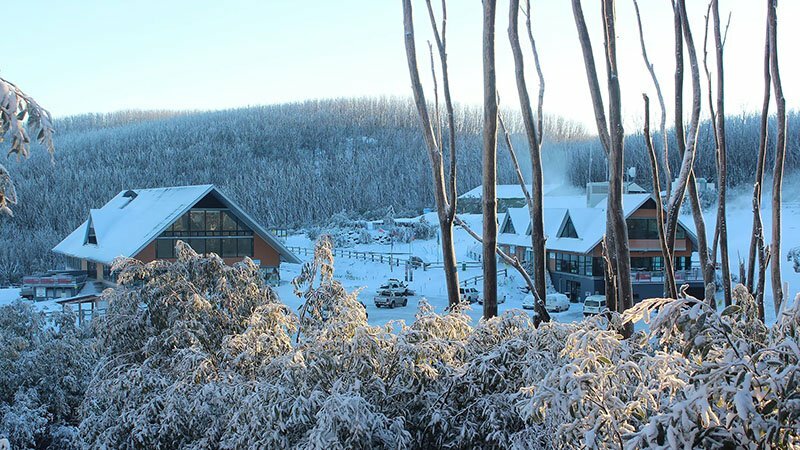 Boasting Australia’s largest skiable terrain, Falls Creek has slopes for everyone. From beginners to kids, intermediate skiers, and even pros, Falls Creek has over 90 runs to chose from. This includes the country’s longest green run, as well as many other more advanced slopes. In fact, it is even home to the National Cross Country Skiing Team. Arguably boasting some of the most stunning surrounds Mount Hotham Alpine Resort is certainly worth the four and a half hour drive. While not ideal for a day trip, Hotham makes the perfect spot for a quick and action packed weekend getaway. With three terrain parks and 35 kilometres of cross-country skiing, snow play, sled dog tours, ski school, snowboarding lessons, gear hire and plenty of accommodation a good time is absolutely guaranteed at Mount Hotham. 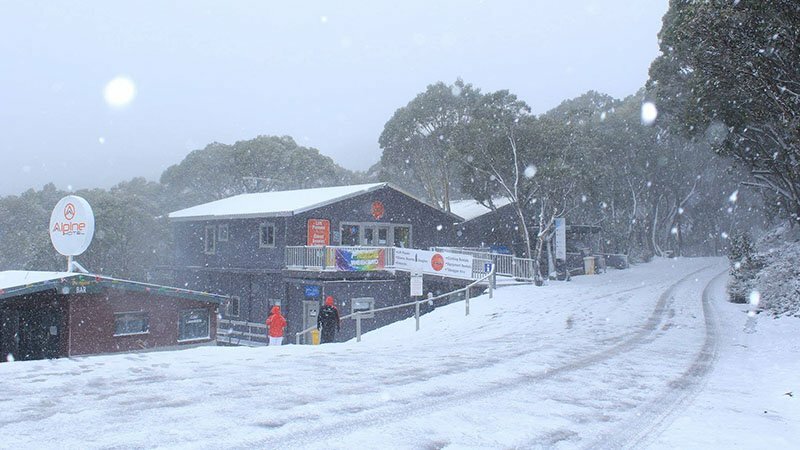 Mount Baw Baw offers year round with fun. Catering for snow enthusiasts during the white season and outdoor adventurers, hikers and bike riders during the green season. 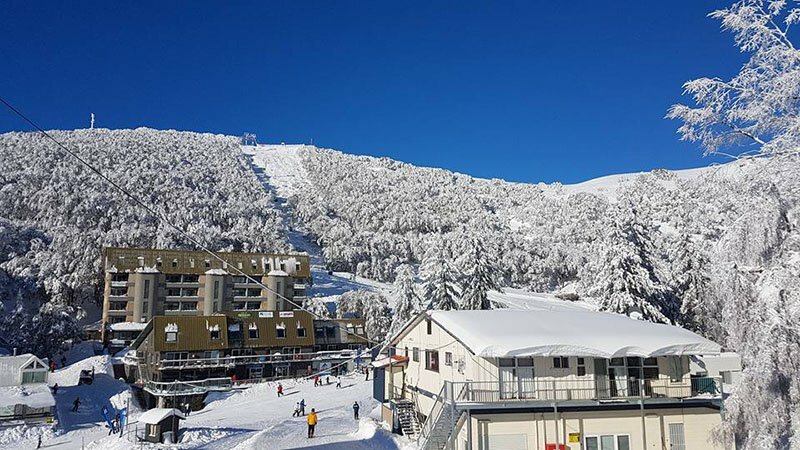 Just 2.5 hours from Melbourne the pristine paradise is home to 30 hectares of groomed runs, seven ski lifts, three snow play areas, and 10kms of groomed cross-country ski trails. Just two hours from the CBD Lake Mountain is not only one of the closest snow destinations, but also one of the easiest to get to. Completely accessible by the two-wheel drive, (although you may want to hire some chains) this snowfield doesn’t offer much in the way of downhill slopes, but as far as other snow activities go, it has them in spades. There are four different slopes for tobogganing and plenty of space to make snowmen and frolick in the powder. If hiking is your thing, grab a pair of snowshoes and head down one of the five different snow trails. If you’re looking for some free fun in the snow, then look no further. Mount Donna Buang is completely free to enter. There are three different toboggan runs, a designated snow play area, barbeques, car parking, toilets and a scenic drive up to the summit. There are also stunning panoramic views of the Yarra Valley, Dandenong Ranges, Melbourne, and the Alps from the summit’s 21-metre high lookout tower. Visitors can bring their own snow toys and accessories, or they can also take advantage of the mountain’s hiring facilities. 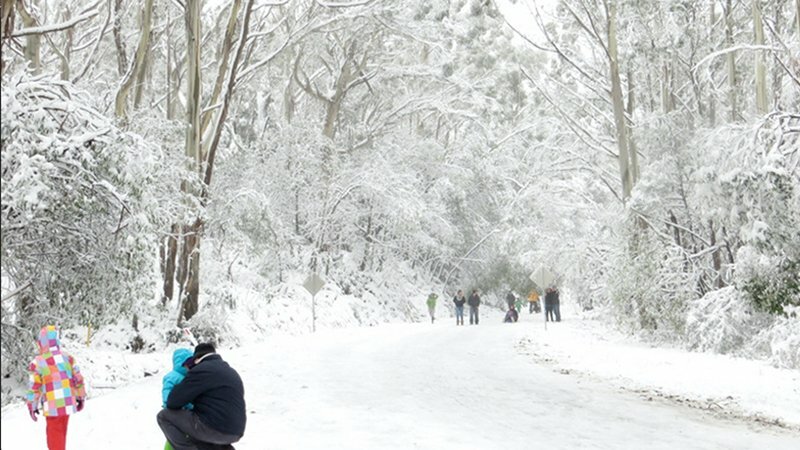 Mount Donna Buang is also the closest snow destination to Melbourne making it the perfect day trip for some family fun.